The last few days have been difficult for me, with the loss of a dear loved one. I hadn’t realised until now, just how much sewing does soothe my soul. I’m in my early thirties and up until five months ago I’d never had a real hobby, but I’ve become so addicted to sewing that when I’ve been unable to sleep, or wanted to take my mind off things, over the last few days, sewing was all I wanted to do. I decided to put some of my more complicated WIPs on hold and do a quick, easy project that I wouldn’t have to be too alert for, since my mind wasn’t 100% on what I was doing. 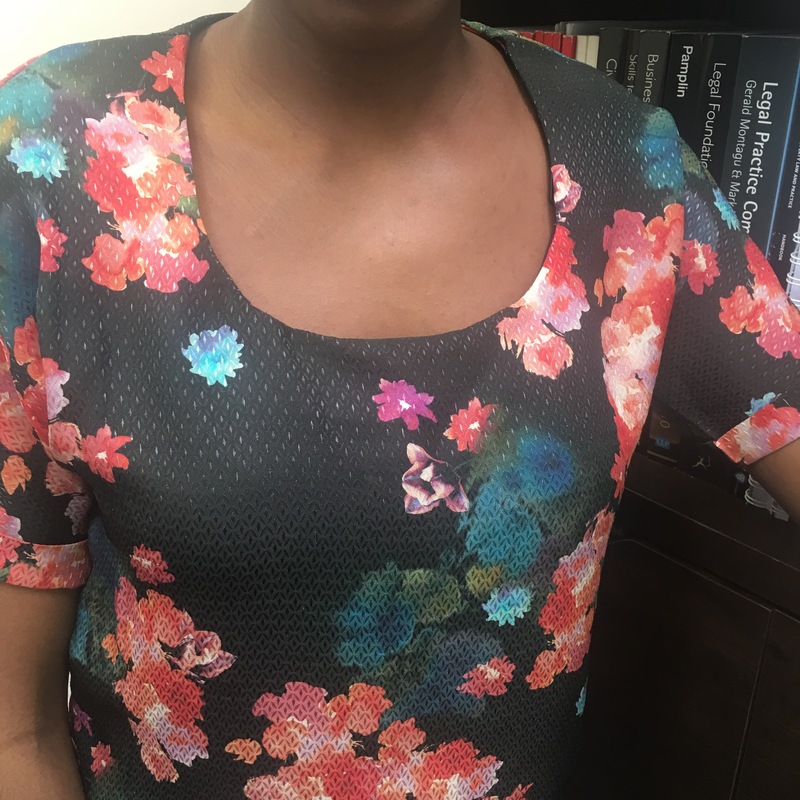 I’d had the Tilly and the Buttons Bettine dress pattern for months – I ordered it with my copy of Love At First Stitch when I decided to give this sewing thing a go – but I’d had it in mind to hack (OK, shorten) it into a top. I wanted to make sure I wasn’t completely crazy, so did a quick search, and sure enough I found lovely versions like this one by @frankiesews and this one by A Stitching Odyssey which convinced me I was on the right track. 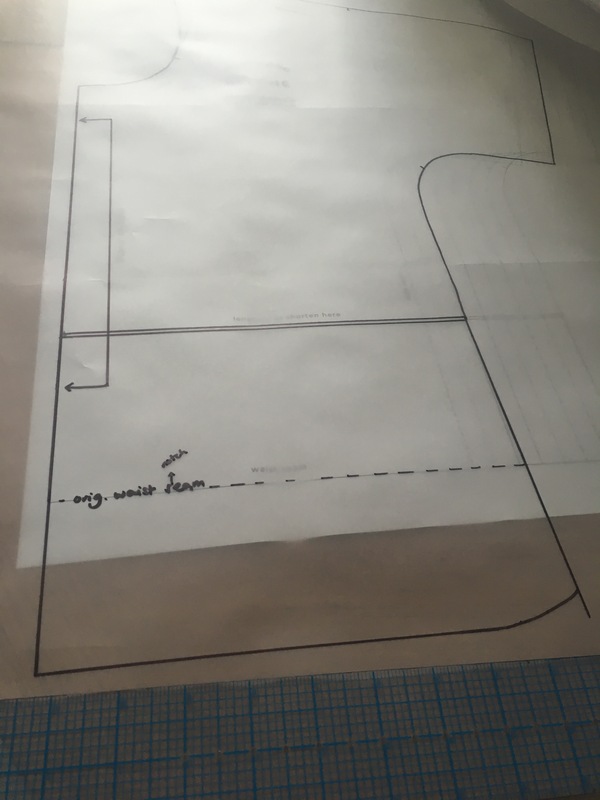 I started by tracing off the pattern pieces for the top, sleeve cuff and tabs, in my size. On the top front and back pieces, I extended the bottom by about 7cm and drew in a slightly curved seam. Next time I make one of these I will definitely increase that by at least another 10 cm. This length is fine tucked in but I’d like a longer line version to wear loose. My fabric was a textured silk, the first time I’ve sewn with actual silk. 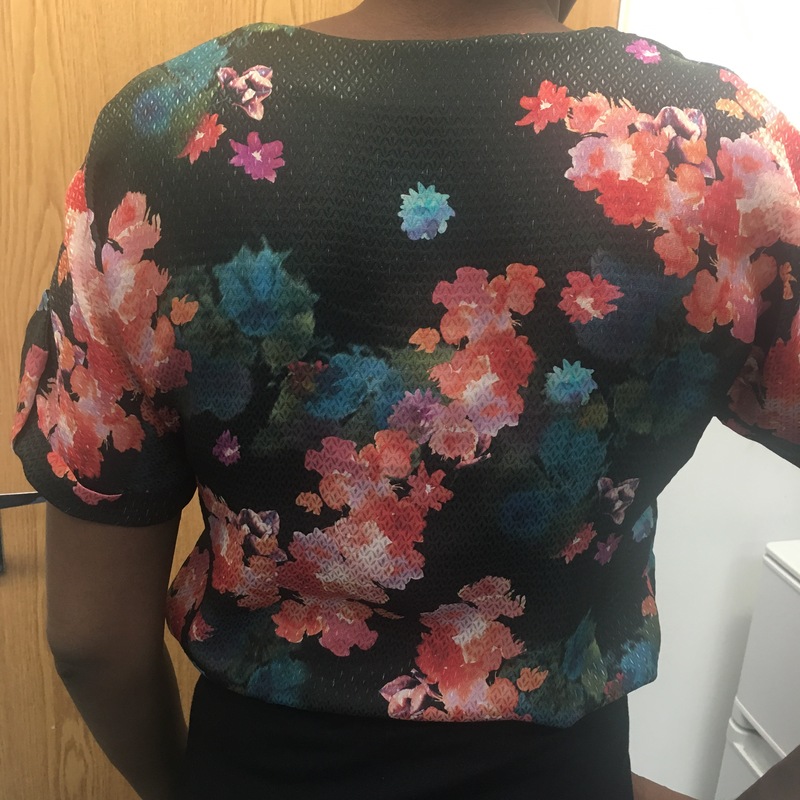 I have made a few blouses with drapey fabrics before but this one was downright slippery, from cutting all the way to sewing. I used lots of silk pins to get through cutting, and tried not to handle the pieces too much, but at times it was tough going? I got there in the end but ended up having to re-cut the bottom hem where my rotary cutter hand slipped and it ended up really wonky 🙂 so it’s shorter than it should have been. I’m not sure the tabs are really necessary on a light fabric like this, to my eye they look a little out of place. I haven’t found the right buttons for them yet so just did a tiny stitch by hand to hold them in place while I think about it. Style: a kimono-sleeved loose fitting, blouson dress with optional pockets and tabs on the sleeve cuffs. Instructions: Tilly’s instructions in Love at First Stitch were what got me started on my sewing journey and convinced me that I could do this, and these ones were just as easy to follow! Sizing: a straight size 3. 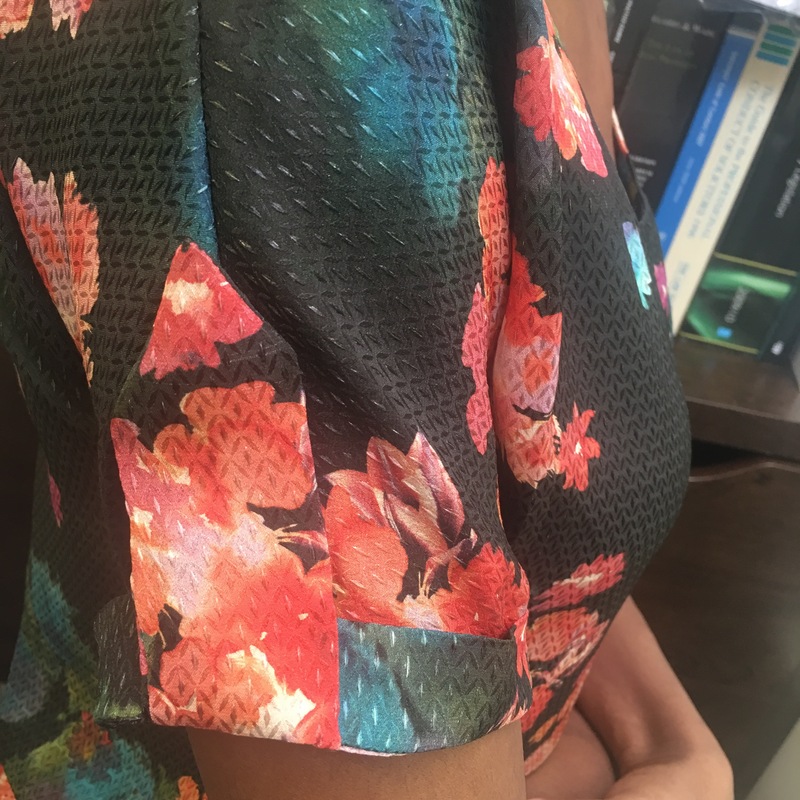 Alterations: shortening it to blouse length. Time taken: probably a few hours in total. Pretty much finished in one middle of the night session. 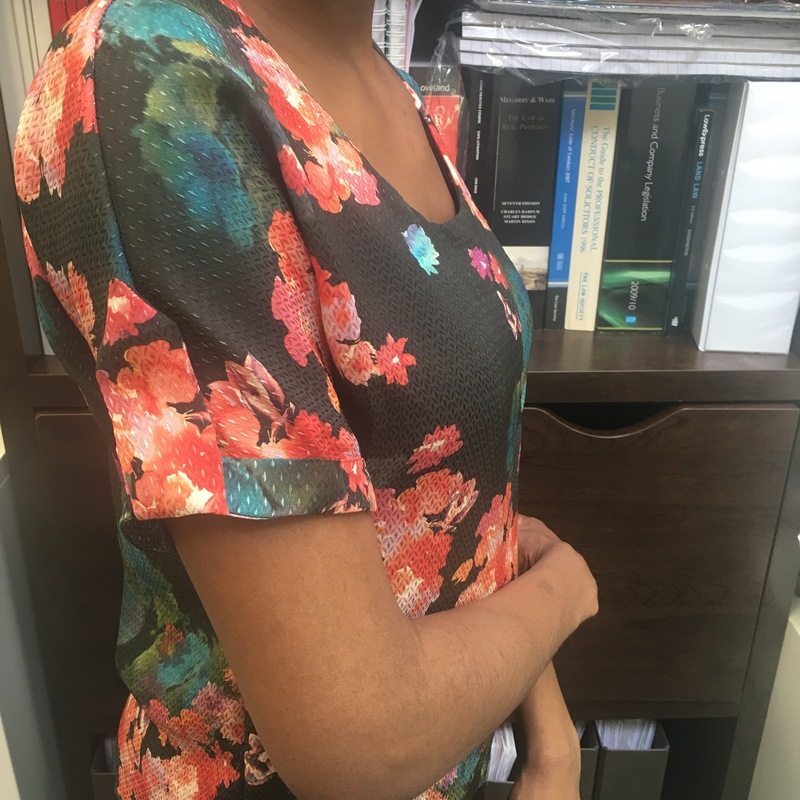 Difficulty: straightforward, definitely a nice beginner’s project since it didn’t even involve the bottom half of the dress and there’s no setting in of sleeves! Would I recommend it? : Absolutely. The top looks great! I’ve made quite a few Bettines (and hacked one into a maxi) but for some reason never occurred to me to make into a top version – now I think I will! Thanks for the tips on how much to lengthen by too! 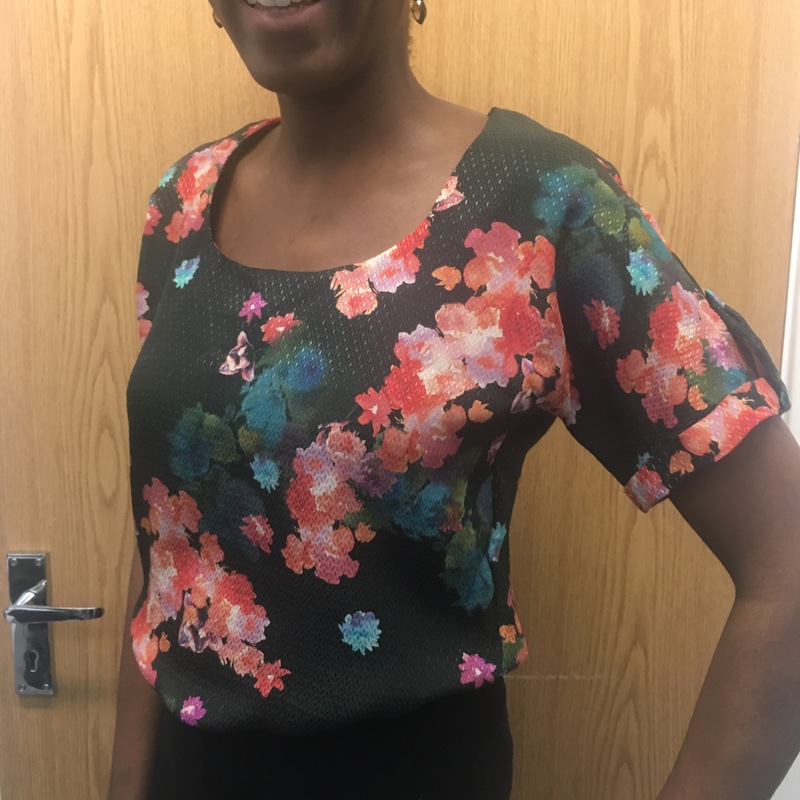 Thanks Nelly, it was part-laziness and partly the fact that I’m focusing on gaps in my wardrobe that prompted me to do a blouse rather than a casual dress, but I’m a big fan! A Maxi Bettine does sound awesome though! I’m sorry about the loss of your loved one. I guess sewing falls into the ‘keep yourself busy ‘ category. Soothing but also productive. Your top is lovely! I like this kimono style, it looks nice and clean without the bulk I thought this style has. I may have to try also. Hi May Rose, yes it’s very therapeutic isn’t it! I definitely notice a difference in my mood on sewing days versus periods when I don’t have time to sew.